We chose to be the top content marketer in the Tallahassee real estate market back in 2007, and since that time we have not missed a day of posting new and unique information on our website. Would you like to know why it matters for home sellers? It matters because home sellers who take advantage of a top content marketing plan will have their home exposed to more local buyers than they could achieve through a less-progressive home selling process. The Content Marketing Institute defines it as "a strategic marketing approach focused on creating and distributing valuable, relevant, and consistent content to attract and retain a clearly-defined audience — and, ultimately, to drive profitable customer action." In other words, we provide information that homebuyers are known to want in order to attract them to our site and the listings that we have been hired to sell. 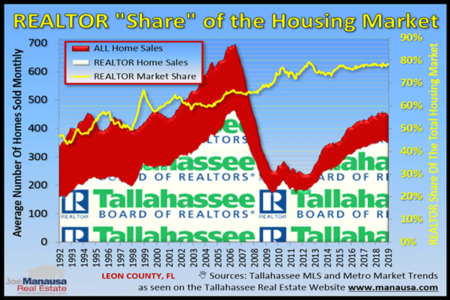 Specifically, we go to the search engines to see what issues and questions buyers are concerned with (translation: the questions that people who might buy a home in Tallahassee are asking) and we provide the answers through written articles, charts, graphs, analysis, newsletters, etc. We then spend a lot of time on social media and search engine optimization to ensure that Google and the other search engines know that we are the authority on real estate in Tallahassee, Florida. So the thousands of pages of content on the Tallahassee Real Estate Website are used to attract buyers in order to develop a ready list of people (plus the list of the homes they are seeking) for the purpose of exposing the homes for sale from people who have hired us to market their homes. While this makes us very unique in Tallahassee, we have found a small community of other Realtors who are using these progressive techniques around the Country. In fact, we have reached out to one of the best real estate agents in Holliston MA to share his thoughts on content marketing (Bill Gassett has shared his thoughts on home valuation here in the past). Here is what Bill had to say. "Joe thanks for allowing me to share my expertise. This is certainly a subject I am passionate about. In fact anyone who visits my website will see that the theme is Maximum Real Estate Exposure. I firmly believe that selling a home is more than just throwing a sign in the yard and putting it into MLS. If you want to be a below average real estate agent that's what you can do. In the process you will become recognized as a Realtor who doesn't do much for their clients. 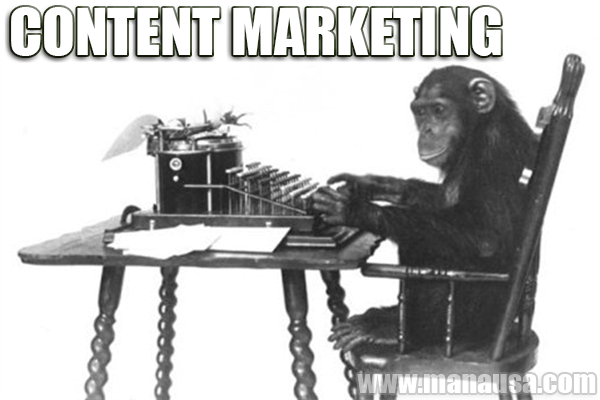 My focus for Maximum Real Estate Exposure is just that - putting more eyeballs on my content. When that happens not only do I benefit but my clients do as well. There are two things that play a large roll in making this happen including a strong social media presence coupled with my knowledge of search engine optimization (SEO). You can have the best looking website in the world but if somebody can't find it then it's pointless. In terms of social media, all of the major platforms including Google+, Facebook, Twitter, Linkedin and Pinterest are used to drive traffic to my site. It would be too long to explain all the processes but solid SEO techniques are used to ensure my site gets top placement for key real estate searches. While getting traffic is important, just as vital is your presentation. In real estate presentation is all about having outstanding photography. This can make or break a potential buyer being interested in a home. Some lazy agents pay very little attention to photography and it shows. In fact there are probably more websites making fun of agents and their lack of quality photos than any other industry. 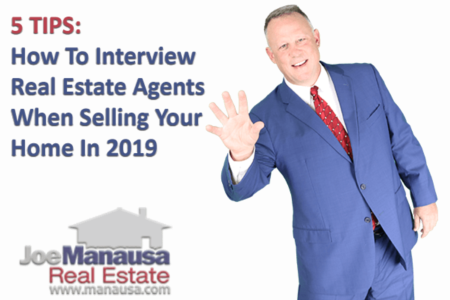 Whether you are a new agent reading this or a consumer thinking about selling a home, make sure you do your homework on who will be marketing your home!" The best real estate marketing plans around the country are built around content marketing, and it should not be a great surprise. It is merely the result of reverse-engineering the sales process. Taking our experience in what new buyers will want to know, and building a sequence of information for them to follow that results in them viewing the featured homes that we have listed. And since we have been building five or more articles per week for more than eight years, we've got the answers that Google likes to serve up to its visitors. Look to see a follow-up article on content marketing on Monday, where we'll go into greater detail about how a content marketing plan works to help a home seller achieve the highest price possible in the shortest amount of time. And as always, if you have a question not covered in this post, simply drop me a note and we'll be in touch right away.